Comment: Wind blew off a portion of siding needs to be reattached. wind blew off a shutter on front of house I have it. Not wood. because it's light. Comment: There is a strip of aluminum eave capping that came loose in a windstorm. It is not bent, it just pulled through the existing nails and needs to be secured again. It is higher than I am comfortable with. Need a reasonable quote. Thank you. Comment: Need exterior frame around 2nd floor window above deck repaired. Comment: Homeowners inspection found existing stucco to be insufficient. Most stucco will need replaced. Comment: One piece of siding has a whole. I need a new piece color matched and put on. Wilmington Siding Contractors are rated 4.77 out of 5 based on 1,459 reviews of 43 pros. 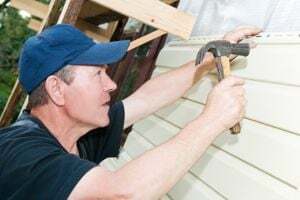 Not Looking for Siding Contractors in Wilmington, DE?